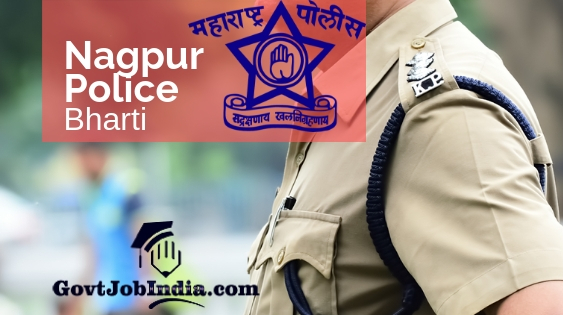 Nagpur Police Bharti 2019– All those candidates who wish to check out the Nagpur (city, SRPF, Railway and rural) Police Bharti for the year 2019 20 will find all the details of the recruitment given below. This recruitment is for the posts of constable / Shipai. The total number of vacancies for the recruitment are 491 and they are divided like this- 1. 210 Posts in Nagpur City, 2. 155 Posts in Nagpur (rural division), 3. 75 Posts in the Nagpur SRPF department and 4. 51 Posts in the Nagpur Railway. The official advertisement will be available soon on our site. As the PDF hasn’t released yet, we will be unable to provide it. The Maharashtra Police Department will soon schedule the entire selection procedure and we will be updating that on our site as soon as it is published. Apply online through the online application form as soon as possible as no candidates will be able to register once the Nagpur Police Bharti Last date to apply online runs out. You will be able to apply online through these portals mentioned below. The official websites of the recruitment board are a few in number. The first one is the official site of the Nagpur Police which is www.nagpurpolice.gov.in/. Other sites where the Maharashtra Police regularly puts out information are mahapolice.gov.in/Recruitment and mahapolice.mahaonline.gov.in. Check the Nagpur Police Bharti Eligibility Criteria and Police Bharti Salary Scale. The Maharashtra Police Bharti is strategized to be held across the state and you can gather more knowledge about it by going through the link- Mahapolice Bharti 2019. This Bharti is, in turn, a huge part of the Maharashtra Mega Bharti 2019. This is a huge initiative taken by the state govt to provide employment to the general public of the state. So now that you have grasped the basis of this article, let us move onto the Maharashtra Nagpur Police Bharti 2019 details. Maha Police Constable Bharti Minimum Qualification 12th Pass. Additional Qualifications Candidates should have a fluent knowledge of Hindi and Marathi. Qualified applicants in this Nagpur City Police Department, will get a pay scale of 5,200 to 20,200 Rs. (Grade Pay – 2,000 Rs.) with Special Pay 500 Rs. and Other. Are you struggling with the application process of the Nagpur Police recruitment? Are you trying to find easy steps on how to apply for the Nagpur Police Constable Bharti 2019? If yes, fret not because GovtJobIndia.com team will help you have a stressfree application procedure. You will require a few details to be kept ready before you apply online. These are-:- Applicants’ First name, Middle name, Last name, Fathers name, Mothers name, Date of Birth, current active mobile number, photograph, signature and Adhaar card number. How to Apply Online for the Nagpur Police Recruitment 2019? You will find the official link which will take you to the advertisement PDF on the very homepage when the advertisement releases. Make sure that you speed read through the information given and check if you are adequate for the position. Finally click on the online application link. Instead, you can also go to the link given below and you will be taken directly to the Nagpur police Bharti application form. Complete the essential details asked in the Nagpur Police Recruitment online form and attach the documents asked for in the prescribed size. Finally, make the application fee payment and take a printout of the form. Did you like this article about Nagpur Police Bharti 2019? If you did, ensure that you share this article all deserving candidates through different media like Facebook, Whatsapp and other sites we offer. Furthermore, leave all the doubts you have in the comments section and our team of experts will guide you out of this doubt. To conclude, subscribe and bookmark our website @GovtJobIndia.com for the latest updates about the newest govt job notifications.